Take advantage of our sample Infection Control resource. How current and compliant are your dental practice procedures and documentation? While the primary focus is always on dentistry, a professional and successful dental practice knows the importance of effective workplace policies, procedures and manuals that comply with current legislation and Dental Board of Australia’s requirements. Amalgamate was founded to enhance Australian dental practices in four key areas; Accreditation, Infection Control, Work Health & Safety and Documentation. 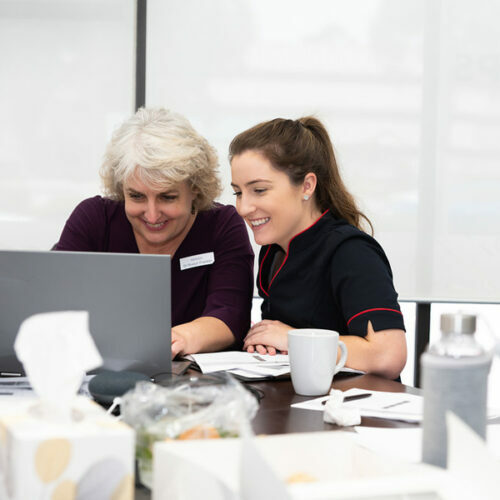 We work alongside dental practice managers and dentists to ensure your practice and staff are compliant through effective training, accreditation, document development and record keeping, while maintaining a focus on day-to-day operations. We provide assistance with accreditation and re-accreditation via managing the documentation and process. Dental practices have a legal responsibility to ensure the risk of spreading infectious diseases is prevented or minimised. Do you have a documented risk management process to safeguard your practice from risk and liability? There are better ways to keep your policies, procedures, manuals and registers up-to-date and compliant. Amalgamate offers a range of Accreditation and Infection Control packages to suit your Practice's current need and future plans. Amalgamate is an industry leader in dental infection control and accreditation to dental practices. Our core business is in dentistry. Amalgamate was founded on a thorough knowledge in all aspects of dentistry practice. We understand the daily constraints and requirements that dentists and practice managers operate under which best enables us to assist with the accreditation process and dental infection control training and compliance for your practice. "Efficient, effective and an important audit of our practice. Ros finalised a new infection control manual and checked our procedures onsite. An important improvement to our compliance." "Ros updated our infection control practices and policies last year. We found her very easy to work with and the material she produced was surgery-specific, succinct, and easy to implement. We will definitely use her when we decide to become accredited." "We wanted to let you know we have just received our QIP accreditation for both Wyong and Lisarow Dental Care. Thank you very much for producing our infection control manual and the many tips you gave us in this process which helped us with the accreditation." Do you need assistance with your dental practice accreditation & compliance?